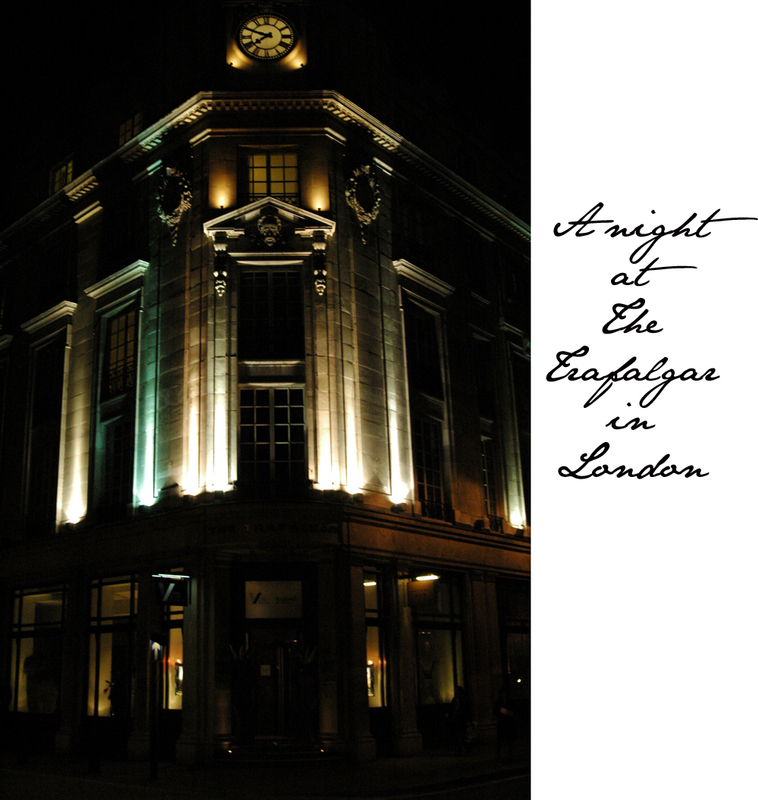 Last Friday I was invited to review The Trafalgar Hotel on Trafalgar Square in London. As the Trafalgar has recently received new looks for many areas and ideas for the hotel, I thought this would be a good time to check out the premises and see if it's up to scratch for the FFG reader. As I approached the hotel in 25 degree weather I was feeling Christmas-y yet frozen through to the bone. Walking through Trafalgar Square during the festive season is an experience everyone should have. I was feeling pretty chuffed that the walk was required in order to reach my destination, The Trafalgar, which sits on the corner of the Square. As I walked in to the lobby I was never more thankful for a heated area! 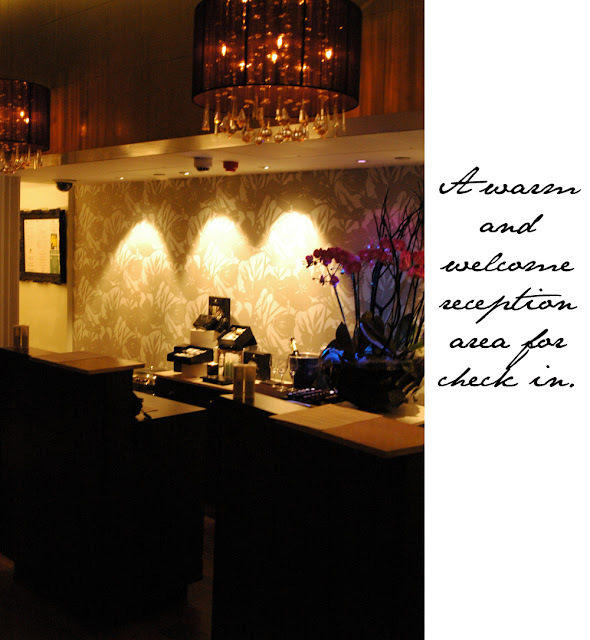 The check in desk was warm, open, inviting and full of smiling assistants. 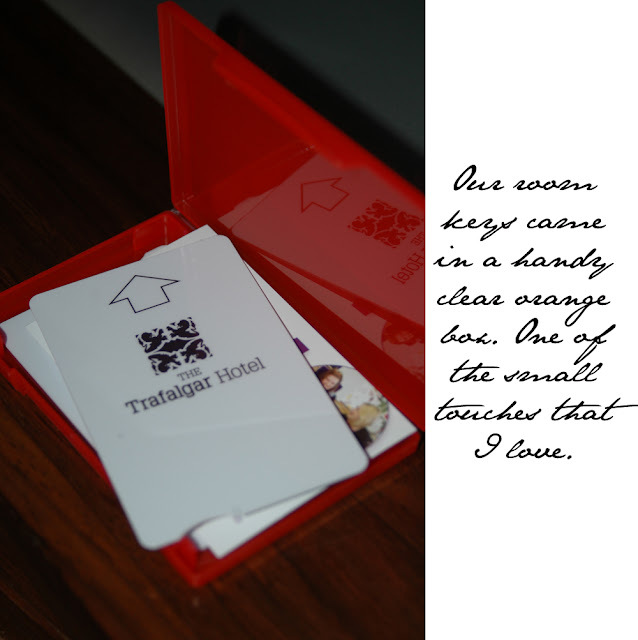 I was handed an orange neon box with two keys to my room for the night. I stepped into the elevator (conveniently located right next to the check-in desk- a big plus) and pushed the button for the third floor. I was staying in room 317. The doors to the third floor opened and I was greeted by, honestly, the widest hallways I've ever seen in Europe. You could drive a car down the hall! I'm American and I love my space. So, I was immediately at ease seeing how spacious the public areas were. 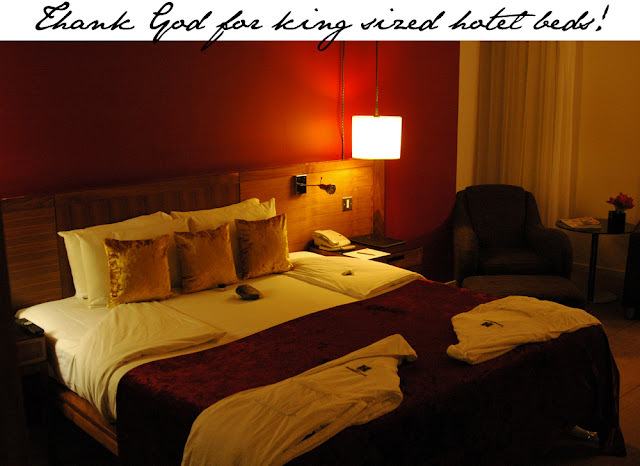 The room was no different. 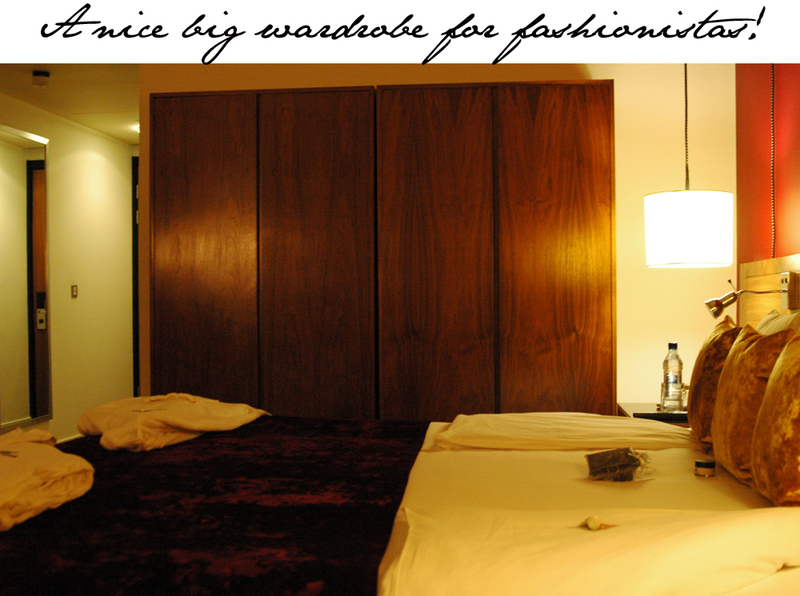 As the door to my room swung open and a clear view of the space came about I realized I was standing in a room which could fit my entire flat with square feet to spare. It was momentarily depressing remembering that I lived in such cramped quarters for everyday life. Then it dawned on me that this was home for the next 24 hours! 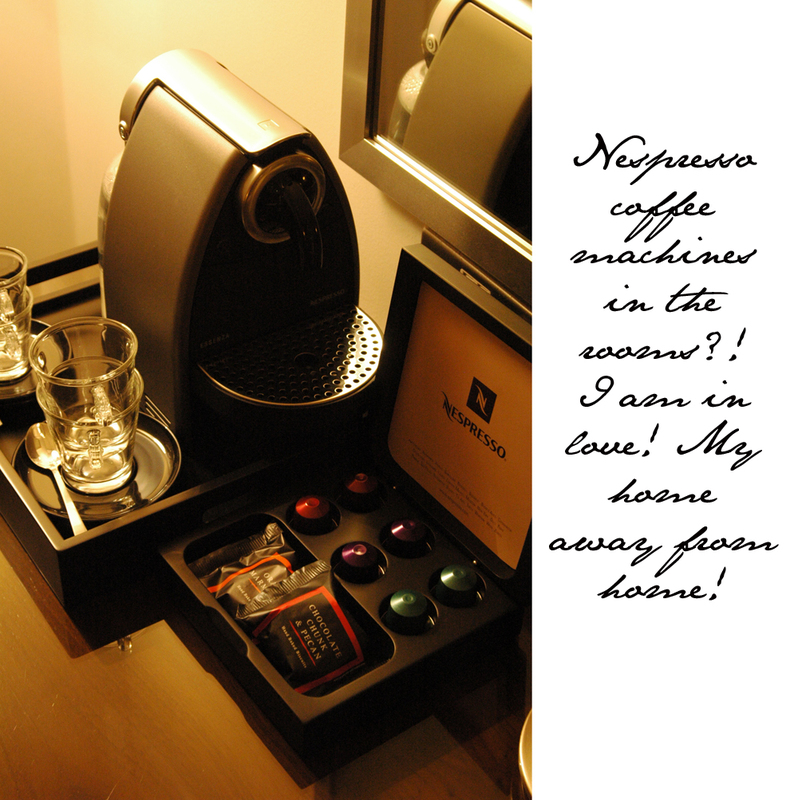 Present Bliss! The Trafalgar has recently introduced a new concept called "Spa Wherever You Are" dedicated to enhancing their guests experience of well being during their stay. 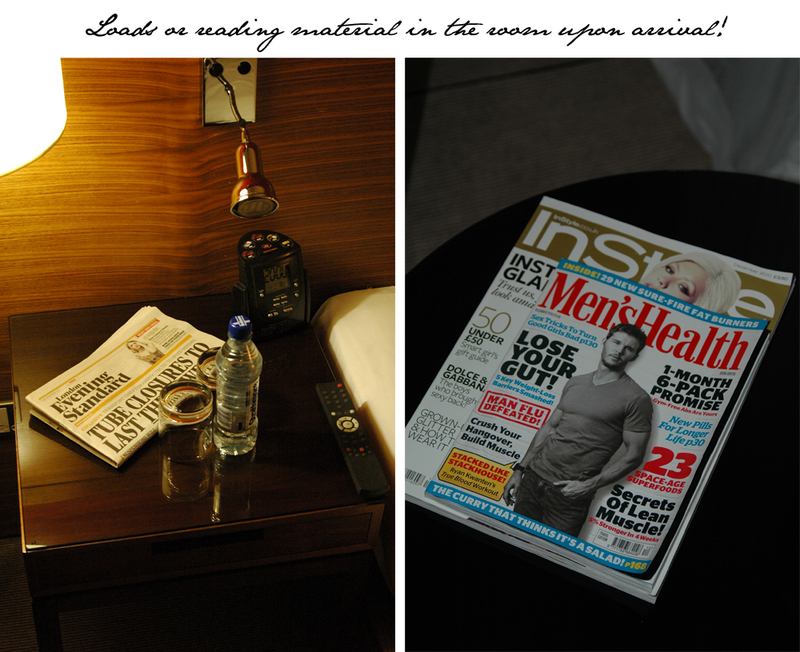 From check in to check out you are made to feel completely at ease and should leave feeling more relaxed than ever. 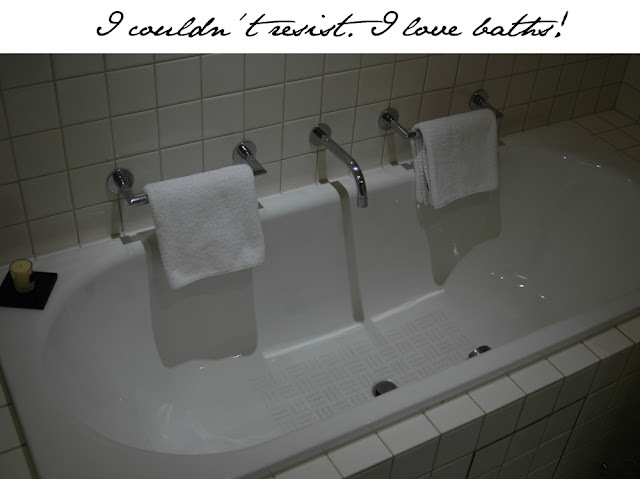 I'd say that's quite a task as I rarely find a hotel that can deliver an experience that leaves you relaxed and refreshed. I knew The Trafalgar was serious about this task when I saw what was waiting for me on the bed. Upon closely inspection, I found two fluffy robes, and gorgeous spa products scattered on the clean pressed sheets. 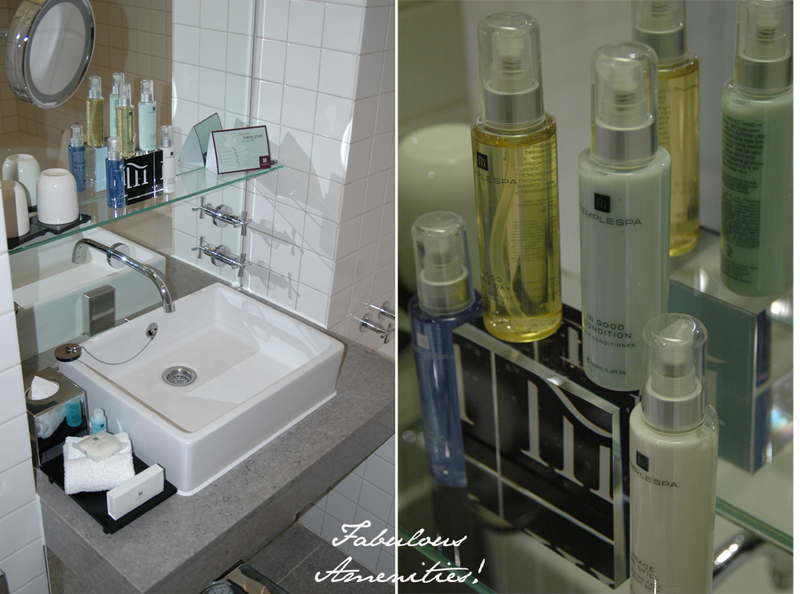 All the products were from the famous Temple Spa and are certainly not to be classed as your bog-standard amenities! I don't think I've ever checked into a hotel to find a jar of aromatherapy resting cream with jojoba, hops, eight essential oils and vitamins, waiting for me on my pillow. The fun freebies didn't stop there. In the bathroom there are four full sized bottles of wholesome goodness and various other goodies including, Good Hair Day Shampoo, In Good Condition Conditioner, Peace be Still bath and shower gel, Keep Calm Soap and All Mouth mouthwash. There's no need to bring any of your own bottles to this hotel. It's all there for you. 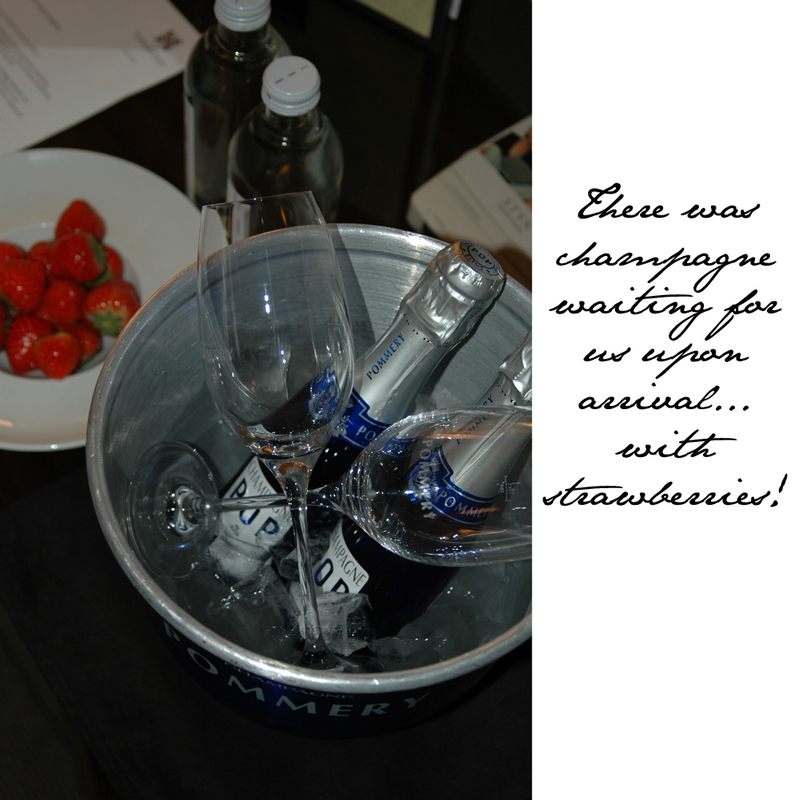 Ten minutes after checking in and settling in (and of course taking loads of pictures you'll see in a minute) there was a knock on the door and a man in a uniform delivered a delicious welcome of champagne and strawberries. It doesn't get much better than that...unless, of course you are the type of person who wishes to enjoy an evening outside your hotel room. When I say "outside" at the Trafalgar, I really do mean outside. 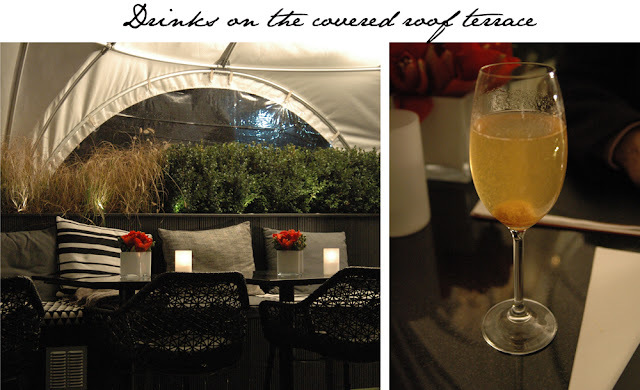 The Trafalgar has one of the most amazing roof terraces in London. I have visited this before and written a post which you can read here. In the winter they cover the terrace, with one open area available for those brave enough to battle the brisk British air and smokers. The view from this space is unparalleled. It is romantic for both tourists and locals as it reminds us all of what a beautiful city we have here in London. And while we're commenting on good spaces, the breakfast bar I was treated to the next morning is like nothing I have ever had before. First of all, you are greeted by a live acoustic guitarist who serenades you with some of the greatest rock tunes every written. You are well looked after by staff who make sure your coffee cup never gets cold and plates are always swiftly removed when made clear. The food itself was delicious with everything from a juice bar to freshly baked chocolate croissants. Needless to say my diet plan this week was shot out in an instant after indulging in these sweet treats! 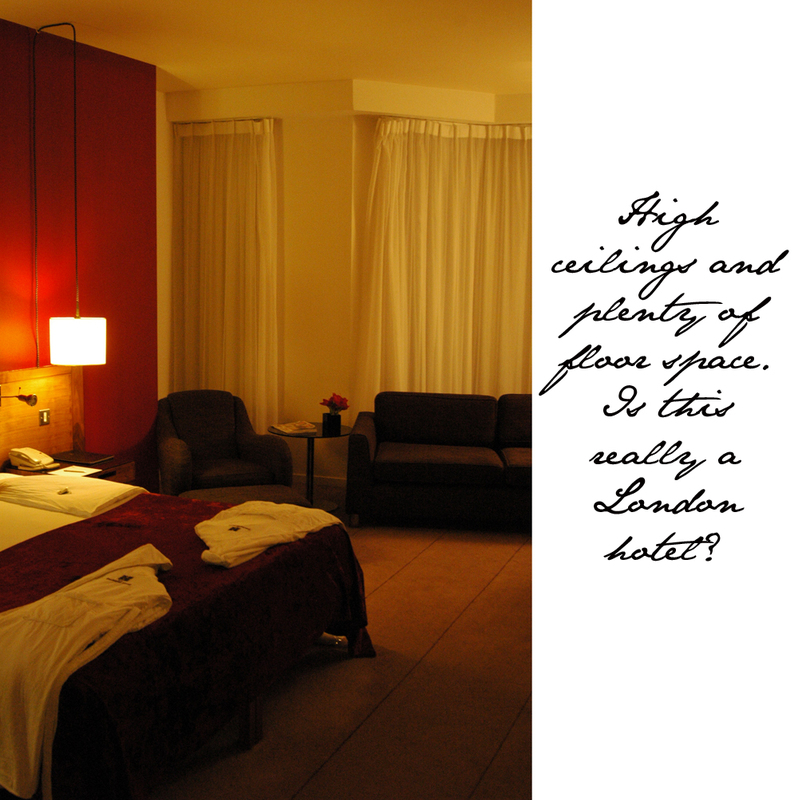 The Trafalgar Hotel is a unique 129-bedroom hotel located at 2 Spring Gardens, on the doorstep of Trafalgar Square. Owned by Hilton, the property operates under its own individual brand name and has earned a reputation for being one of the capital's most desirable contemporary, design-led hotels.